What are some of the key concepts of the battering syndrome? Even though the study of domestic violence has broadened beyond the political vantage point of the 1970s, several key ideas introduced by feminist writers illuminate the psychological mechanics of battering relationships. Regardless of the gender of the people involved, a battering relationship has specific psychological characteristics that have long-lasting and very destructive effects on anyone caught in it. Three important concepts include the cycle of violence, coercive control, and traumatic bonding. 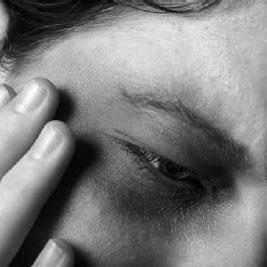 Both men and women can commit spousal abuse, but violence against women is more common whenever women have less economic or legal power in a society (iStock).